Ms. Colorado, Kelley Johnson, a nurse, does an amazing monologue about a patient she once cared for. She discussing her role as a nurse. It was very moving and I loved it! Although hate the term “just a nurse”, her point was well taken. The following Tuesday, the hosts of The View, decided to make fun of her monologue and proceeded to question why she was wearing a “doctor’s stethoscope”. Some of the hosts proceeded to go on Twitter to make fun again of the reaction of the nursing community by Tweeting “I’m not taking an anti-nurse platform haha. Like everyone prescribe yourselves a Valium and let’s just all relax.” Funny…. it was promptly taken down shortly after it went out. But screen shots are a wonderful thing! Nurses and other health care providers go nuts on social media – first just making light of the situation, but most were pretty upset. The fire was lit and this issue was trending on Twitter & Facebook – #NursesUnite and #Nursingismytalent were born! A Facebook group was started called “Show Me Your Stethoscope” and the momentum really moved as folks started posting like crazy their “doctor stethoscopes”. On Wednesday, The View attempted to “apologize” – I put it in quotes as it was more of a “what’s the big deal, it was just a little joke”, topped of with “I don’t think they were really listening”. Ummm…. didn’t you learn your lesson the previous day? In response to the reaction of nurses and the public, advertising sponsors began suspending and stopping advertising during The View in solidarity with nurses. (Smart move considering most are women and the primary household shoppers!) As of now, Johnson & Johnson, Eggland’s Best, Party City, Cottonelle and McCormick are among the list…and the list continues to grow daily! Kelley Johnson goes on the Ellen show and talks about how she wanted to share her true talent – being a nurse and spotlight that awesome profession. The Ellen Show & Shutterfly gave her $10,000 to go to grad school! Nice job Ellen! The American Nurses Association, in really an unprecedented move, issues a very nice statement basically stating when nurses are misrepresented, then we need to step and set the record straight. I was happy they were a MUCH quicker to act this time around – progress? By Friday, The View knew it was in hot water, so they tried to make amends with the world and had two NYU nursing instructors on to discuss the real role of nurses. Both nurses were very articulate and I appreciated the effort…. however, maybe a little too late? The following Monday, Dr. Oz dedicated his entire show to the profession of nursing! It was really nice to see us showcased – that doesn’t even happen during Nurses Week! He has also started a campaign looking for your favorite nurse to be on his team of core experts. What a sweet deal that would be, right? You can follow the search using #NurseSearch. So, there you have it in a nut shell. But what does it all mean? Why all the hoopla? What will happen now when all the dust settles? What can we learn from all of this madness?? I have to say, I have been inspired by the outpouring of solidarity in the nursing and healthcare community! This really has been something we have never seen before. I remember back in nursing school thinking, “wow, there are so many nurses – imagine if we all voted the same or rose up on an issue – just imagine!” But it seems so daunting and unimaginable. But it has happened. I was able to witness nurses fighting hard for us to get legislature for safe needles. It took nurses getting HIV from needle sticks and their tireless advocacy and lobbying so we can now practice safer than ever before! It can happen, but it has to start with us! Each nurse and health care provider has to speak up, dig in and represent. Sure, you can just do a sub-par, but adequate job, just put in your time, but imagine what health care would look like if we were all in? If we all stood together with respect? Just imagine. But what now? What do we do with all this new found attention and solidarity? Just go back to our old ways and reminisce about the warm and fuzzy of the past week? I sure hope not. I don’t know about you, but I have been inspired. I have be reinvigorated. I have this new sense of camaraderie that has been missing. I feel empowered knowing I am not alone in wanting to do better in the health care world. I am not alone in my desire to improve patient care and nurses’ work condition. I have a new found respect for the power of the internet and social media – but am left hoping that we can continue to harness that power! As nurses, we are not spot light seekers. We are proud of our profession, but don’t seek out kudos. So we go humbly about out business of taking care of people – each and every day, we make it work – short staffed or even short supplied. But, now is the time to step into the spot light. Let people know what we do, what needs to change. Now is the time to be true patient advocates. There is a movement growing and molding into something amazing in the Facebook group “Show Me Your Stethoscope”. Over 800,000 health care workers from around the WORLD have united and started sharing their stories. They are standing together in pride of what they do and are fired up to make change. I suggest you check it out – if even just to be inspired by the stories from around the world. We truly are a sister and brotherhood! I look forward to seeing what the next few weeks, months and even years will hold for us! I see great things! I hope this was our shot in the arm to get out of the slump and really make a change in health care for our patients. What can you do with Nursing’s New View? Write a letter to the editor of you local paper – I plan to write one myself sharing my thoughts on the situation. Let them know you are a nurse who cares about your community and are available for questions. Join up and be active – find a group that works with your thoughts on changes. Check out Show Me Your Stethoscope – amazing things are brewing over there & you could be there from the beginning – all is takes is a willing heart! Be kind – I know it sounds so simple. But lets be kind to each other – I know most are, but don’t tolerate unkindness to your peers. The patients suffer from those behaviors also. Share your knowledge – remember when you were in school…. they feel the same way now, but even more scared because students are convinced no one likes them during clinicals. Make an effort. Share your knowledge with them! And that new grad on the floor – they need a hug, so why not give them one & let them know you support them! Contact you local representative – let them know you are a concerned nurse in the community and are available for assistance on any voting matters they may have. What other ideas do you have about nursing’s new view? Where do we go from here? Please leave your thoughts in the comments and lets get the conversation going!! 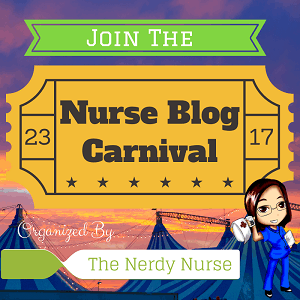 Fun Stuff, Learning Tools, Nurses Unite, Student Nurses, Uncategorized healthcare, Nurses, Nursing, patient care. permalink. I have not seen any remarks that state who travels with the President of the United States…an RN! Wow – very interesting! I will have to look into this! Do you have anything / sites / articles I could read more about that?? Thanks for stopping by and the fascinating info! I met her a few years back when the president was coming to our city. She carries the medical record with her at all times and would be reviewing any emergency care needed. Our hospital would have been where he would be carried if needed. It was very interesting how that system is in place. She toured our ED and learned the route/path that he would be carried to for treatment. There was a phone installed that went directly to the Whitehouse and of course secret service was station at all doors though out his visit to our city. So interesting that it is a nurse – but they would be the best suited to manage and navigate all aspects of care!! I love it!! Thanks for sharing! As if I didn’t dislike The View enough already… damn, they are dumb.